In the span of two short years, Kenya’s founding father Mzee Jomo Kenyatta was the target of two racist attacks in London. 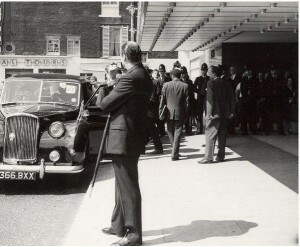 One morning in early July 1964, Kenyatta made his way through the lobby of the Hilton Hotel in London. As he entered his Daimler outside the hotel, a young physician’s clerk ran towards him, bumped a policeman and jumped on the 74-year old Kenyan leader. The policeman turned and grabbed the assailant, and all three men fell on the car, denting it on the side and damaging the hinges on the open door. The chauffeur, the policeman and a bodyguard overcame the assailant and had him arrested. Kenyatta, go back to Africa! This is the man who murdered our white brethren in Africa! Scene outside the Hilton Hotel after the attack. Image available for sale on eBay. This wasn’t the first time that British extremists had directly targeted Kenyatta. While on a visit to London for the Lancaster Conference in 1962, he had been pelted with rotten eggs by white extremists holding placards that read “HANG KENYATTA.’ Some reports claim he was pelted with fresh ones as he went in and rotten ones while he left. He was merely the head of the delegation at time but when he came back two years later, he was the head of the newly independent Kenyan state. To physically assault him was therefore quite the diplomatic spat for the former colony and the former colony states. For the organisation to which the two men who assaulted Kenyatta belonged, the Greater Britain Movement, the attack was spectacular. Those men were Martin Guy Alan Webster and John Hutchyn Tyndall. Webster and Tyndall met in the far right National Socialist Movement and formed the GBM a few years later as a splinter movement. Tyndall, a street-hardened and well-known pro-Nazi socialists, had once said “in our democratic society, the Jew is like a poisonous maggot feeding off a body in an advanced state of decay.” Among other things, British fascists were opposed to Britain’s change in colonial policy and at the face of it the attack on Kenyatta was a defense of white supremacy. But it wasn’t just that. The 1964 attack was as much about white supremacy and dwindling British global power as it was a publicity stunt. The GBM would be launched the next month and Tyndall and Webster badly needed some traction. Kenyatta’s presence in London offered the perfect opportunity to attract global attention. He was in London for the Commonwealth Prime Ministers Conference as head of the seven African delegations on Southern Rhodesia, then a key discussion point because of the recent declaration of independence by Ian D. Smith’s government. 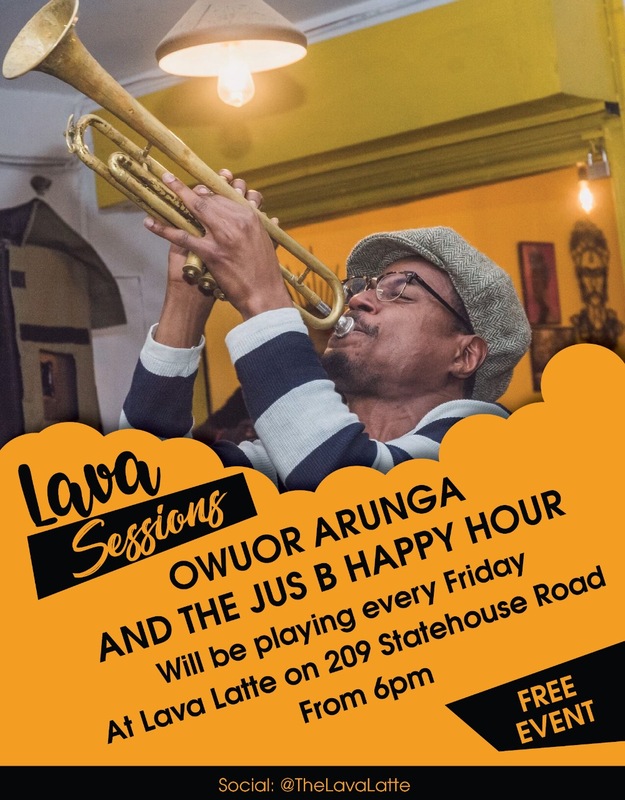 If diplomatic relations collapsed that late in the process, there was no telling what Kenyatta and other African Commonwealth leaders would do to the substantially large settler population still in Africa, and their vast wealth. Kenyatta and his peers, on the other hand, could only make so much noise. They were still tied to their former colonial master economically, socially and politically. The head of the Kenyan military, for example, was still a British officer. The umbilical cord was still attached, but the scales of power were now shifting. Kenya lodged a formal protest through its High Commissioner in London, Dr. J. Njuguna Karanja. Kenyatta, however, issued a statement appealing for calm and assuring Kenyans that he was physically unhurt. He played the statesman card to avoid escalating a publicity stunt. Webster and Tyndall were later convicted for threatening behavior, insulting words and assault of Kenyatta and the policeman. Webster was jailed for a short term while Tyndall was fined 25 pounds for his contribution.